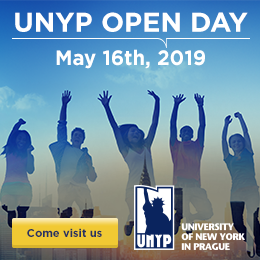 UNYP is officially registered with the Czech Ministry of Education as a domestic provider of degree programs offered by State University of New York, Empire State College (US), La Salle University (US), the University of Bolton (UK), and University of Greenwich (UK). UNYP is accredited as an independent higher education institution by the British Accreditation Council, a member organization of ENQA, the European Association for Quality Assurance in Higher Education, since 2001. UNYP's MBA program and its 3-year Bachelor's of Business Administration program are accredited by the International Accreditation Council for Business Education (IACBE), recognized by the US-based Council for Higher Education Accreditation (CHEA) as a programmatic accrediting organization. UNYP's MBA program is accredited by the Czech Association of MBA Schools / Česká asociace MBA škol (CAMBAS) since 2003.